Heavenly Soles Foot Care System — Barb’s Heavenly Hands Day Spa, Hot Springs, Ariz.
Bio Creative Labs’ ManiSation & PediSation — Bliss On Broadway, Long Beach, Calif.
California Mango Beautiful Feet System — Teri’s Nail Care Solutions, Peoria, Ill.
Former Olympic gymnast and owner of Teri’s’ Nail Care Solutions, Theresa Montefusco-Greer created the “Clouds of Silk” pedicure using the California Mango Beautiful Feet System. -Montefusco-Greer discovered the Cal Mango Beautiful Feet system while attending a -cosmetology show in Chicago 20 years ago. She wanted to find a foot care line with naturally based formulas that also promoted retail for her patrons to use as home maintenance between visits. 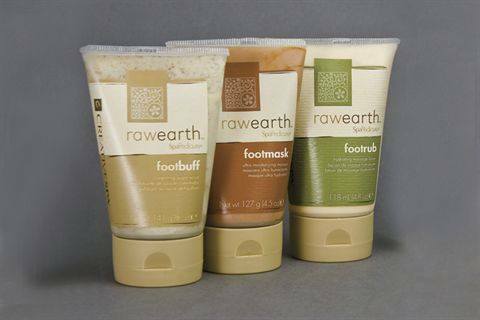 CND’s Raw Earth Spa Pedicure System — Patrick’s of Atlanta, Buford, Ga. The response has been very good so far, and Jones says that male clients seem to like the simplicity of the four-step service and that the scent of the products is very gender neutral. Cuccio Naturalé’s Signature Service Kits, offering pedicures in scents Milk & Honey, Pomegranate & Fig, and Papaya & Guava. She charges $50 for the pedicures, and $25 for manicures. Essie Weingarten, president of Essie Cosmetics, talks about how techs can incorporate the Essiespa Collection of pedicure products into a signature service at the salon. FootLogix Medi-Pedi — CJ’s Centre for Beauty, Clearwater, Fla.
Gena Pedicure System — The Ritz, Cookeville, Tenn. Nail tech Stacy Smith uses the Gena Sloughing Lotion, Cooling Gel, and Polish Remover in her Spa Pedicure that is priced at $35. “The Sloughing Lotion has a nice light fragrance,” she says, “And the client’s love the Cooling Gel’s refreshing feeling, especially in the summer.” Smith actually offers the Cooling Gel as a retail item during summer months so clients can cool their heels in their own homes. Smith uses the Gena Polish Remover because she feels it works faster than others she’s tried, and she also uses a Gena Warming Lotion for manicures, saying she likes its consistency when heated, staying warm, creamy, and not leaving a greasy residue. Haken Cosmetics Chocolate Pedicure — Renaissance European Day Spa, Fayetteville, N.C.
President of Jessica Cosmetics, Jessica Vartoughian, offers her recommendations for using the ZenSpa Pedicure products. “There is quite a demand for the ZenSpa Pedicure treatment because of ZenSpa’s ability to customize,” says Vartoughian. “Techs can customize the service by choosing a different aromatherapy fragrance, like Energizing Ginger, Calming Green Tea, or Revitalizing Citrus.” Vartoughian also recommends techs charge about $30 for the service, so clients can feel like they’ve been pampered without having to pay too much. 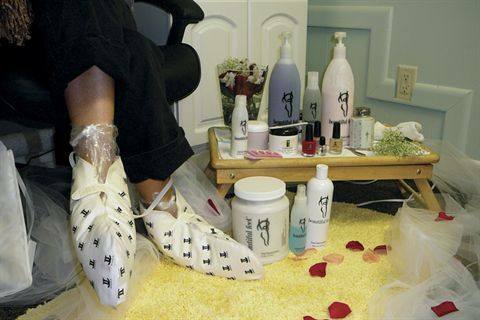 Nouveau Spa Pedicure Products — Dorchester Career and Technology Center, Dorchester, S.C.
Rebecca Johnson is a nail technology instructor who teaches all of her new students to incorporate the Noveau Spa Pedicure Products into a signature spa-style pedicure. Johnson says the Nouveau Spa line adds a lot to pedicures and that the simplicity in each step makes for easy learning. Pedicure by OPI — ROB|B Salon, Studio City, Calif. Since ROB|B Salon is an OPI Concept Salon, all of their services use top-of-the-line OPI Products. 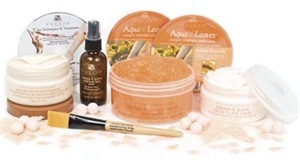 The OPI Spa Pedicure, priced at $50, uses the complete AHA Pedicure line that includes Soften, Scrub, Mask, and Massage. Salon manager Nadine Galli says of the client response so far, “OPI is a brand built on quality and consistency, so people have come to expect the best in both products and services when they hear the OPI name. Right now the clients can’t get over the level of service they’re receiving and the quality and results they’re seeing after the service.” The salon also retails OPI Smooth, which is a top-seller. Orly’s education manager, Kristi Galiano, says the Orly French Polynesian Spa Pedicure Kit has everything a tech could need to start offering the name-sake service as soon as they open the box. Galiano recommends that techs charge $40 for the service, and adds that the kit retails for $32.95, and offers the professional 13 treatments. So with each service only costing the tech $2.53 per treatment, a $40 service price generates a great return on investment.